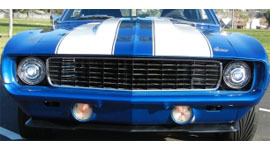 The products featured represent months of extensive design and testing to bring the most powerful lighting systems for all 4th Gen Firebirds/Camaros, F-Series Pickups and any vehicle using a H6024 7" halogen housing. 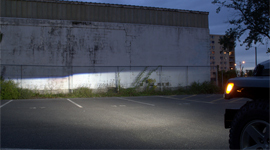 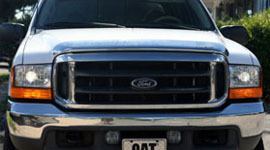 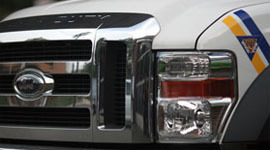 Lighting options for these particular vehicles are lackluster and often do not perform to any current level of lighting standard in the industry. 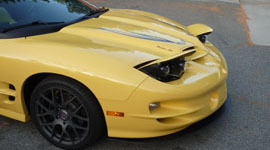 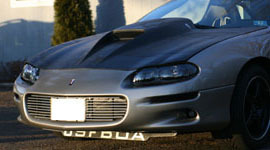 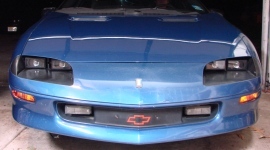 These kits bring these vehicles archaic lighting systems into the future with no permanent modification needed (minor required for 93-97 Camaro). 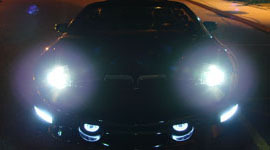 Any of our kits may be purchased with or without a HID kit. 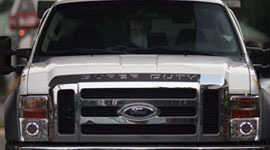 Please inquire for any special requests. 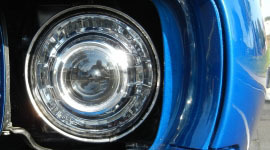 OEM Headlights – Horrendous light output compared to 99% of other new cars produced today. 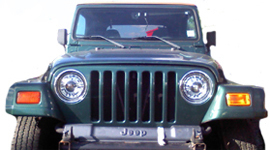 Sealed beam headlight upgrade (Silverstar) – Marginally better than OEM with slightly better color however light output is still very poor. 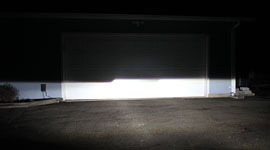 Sealed Beam Conversion – Allows for more lamp options and typically used with coated halogen bulbs producing better but not ground breaking results. 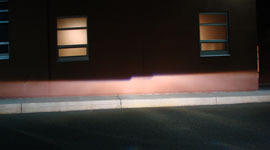 Light output sometimes can be worse depending upon the lamp chosen and the coating on the aftermarket lamp. 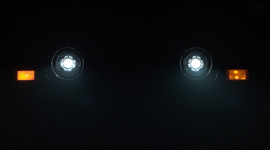 E-Code Conversion Housings – A costly conversion for “better” conversion housings but still lacking the focus and performance of a projector. 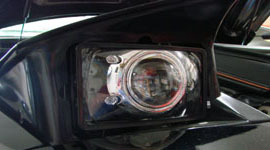 Sealed Beam Conversion w/ HID Kit – This has been the popular upgrade for many vehicles with sealed or conversion housings. 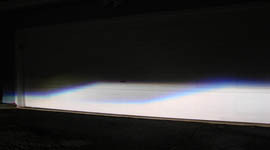 While it offers color and, perceivably, the light output they want; the light patterns are very uncontrolled. 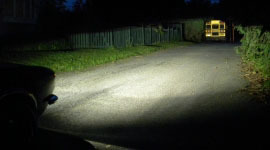 Many have commented on the beam patterns with these kinds of setups and the light output can be sometimes dangerous for other drivers. 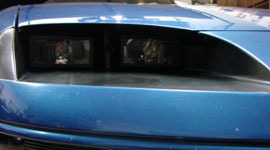 93-97 Firebirds typically lose high beam functionality with these kits. 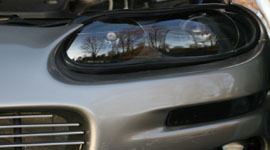 Fixed Headlight Conversion – Certainly the most expensive option ($1K+) with questionable performance, fitment and love it or hate it styling. 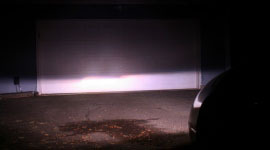 The low beam uses a DOT approved non-projector housing which will not have the performance of a quality projector. 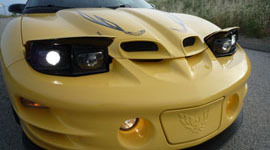 93-97 Firebirds require extensive body modification.